Today, I am addressing this frequently asked question by PMP aspirants during my introductory sessions. Before getting started on PMP journey by enrolling in a PMP program, the question of eligibility criteria is of utmost importance. Project Management Institute (PMI)® offers the world’s most sought-after professional certification, Project Management Professional (PMP)®. To meet its eligibility criteria professionals are required to furnish a typical description of projects in PMP® application. The required hours of experience would vary according to your education. If you have 16 years of formal education including 4 years bachelor’s degree (10+2+4), the total experience required is 4500 hours, if you have 15 years of formal education 3 years of degree or diploma (10+2+3), then you need to have a total experience of 7500 hours i.e. 5 years of leading and directing project work. If you have done your post-graduation, (10+2+3+2), then you would need 4500 hours of experience. These two terms, ‘leading and directing’ are identified and explained under 5 domains, the 5 important roles a PMP® professional is required to perform. Initiating– Project initiation is the first phase of a project lifecycle, you need to document your role in defining the opportunity, creating the high-level scope, preparing a business case, identifying stakeholders. You may also include the effort you put in for team selection and set up the project office. Planning– This is a critical activity of a project manager which begins with a high-level scope, preparing the detailed scope statement, creating work breakdown structure, once the scope is documented you are also required to identify task/activities to be performed. Other activities like, allocating resources, schedule analysis, critical path analysis, planning to recruit more human resources to get some part of the job done, which is Procurement Planning, communication planning et al falls under this domain. Executing– Now, it’s time to get the work done, since you have sequenced the activities, allocated them to concerned people. You ensure the exact execution of the plan in adherence to quality and scope planning. You also perform conflict resolution, and individual performance assessment under this domain. Controlling & Monitoring– This is all about ensuring that we are working as per our planning. Change management is the most important activity of this domain. Controlling scope, maintaining risk register and keeping an eye on the vendor that he is adhering to his contract falls under this domain. Closing– This the act of final acceptance, documentation of all the learning during the project, archiving documents, updating organization process assets, taking final acceptance from the customers. Whatever legal formalities are required to close the project falls under this domain. Project Information– Title of the project, start and end date, and the role you played in that project. The role may not match with your designation. There is one another field called industry in which you worked. Organization Contact– Email and contact details, and the relationship between you and the primary contact person in that organization. In case you get selected for the audit you have to take the signature of this particular person so make sure you identify an individual who is approachable. Hours Per Domain Area– A PMP® applicant is required to document the specific hours spent in each of these 5 PMI Process Groups individually. Once you are done documenting and calculating your Project hours, you will reduce the total project work hours. It is important to note that you should have 4500 hours in total but it is not necessary that you should have experience in all the domains under a given project, but yes you should have experience in all domains in totality. Try not to have a parallel project, since only one project would be considered in any case. You can use the following simple calculation to calculate project hours: You can merely multiply the average number of working days in a month with the average number of productive hours in a day. You can subtract days from the month which were holidays or leaves. The result of this calculation again multiplied with the number of months you worked in the project. Let’s say you have worked eight months in a project and approx. 6 hours are your productive time in a day. Assuming you worked 20 days in a month, then the total number of hours for the project would be 960 hours calculated from 8*20*6. In the next section, I will explain how to divide these total hours into process groups. Start with a project goal: The very first step in all projects is to recognize its outcome expected from the business. So, start the project description with a one-sentence final project outcome, which is “what” will the project accomplish? Like a hospital management system may have a goal that patients will not wait longer than 30 minutes to see a doctor. Think, in each project, what you did process group wise: You need to segregate project total hours calculated above in process groups. So, it is crucial that you invest time to deeply think what you did in the project and in which process group these activities belong. Afterward, snap up your thought with approx. how much time you invested doing these activities from project total hours. And based on this reflection, segregate total project hours in process groups. In this way, the outcome of this thought process would be the allocation of approx. the number of hours to each process group and the work which you did for those process groups. Please note, as mentioned earlier project management experience is required in each of the process areas when all projects are totaled, but not on each project. It is entirely acceptable that you are not showing experience from all process groups in a project. Just try to make sure, that overall you are presenting your expertise in all of the process groups out from all the projects. If your application is mentioning one or two activities from all process groups, your application is good to go. Start writing project description: Once you listed down tasks and the total number of hours for each process group, mention the description in a way which communicates your experience well using appropriate tools & techniques and outputs in align with the PMBOK® and PMP® content outline. When you are writing the project description, you need to use the maximum available space for better-presenting experience. You have limited 500 characters to present a project experience. So, it is important to avoid writing words which don’t add value and eat space unnecessarily. Like I was Involved…My responsibilities were…I was involved in each phase of the project…. , and any description which is not understandable who was not involved in the project or which is industry specific. Focus more to align with PMP® content outline tasks. Your role and responsibilities: Here you need to mention your responsibilities Process Group Wise aligned with PMP content outline as I described in “Start writing project description” section. No need to say explicitly like my responsibilities were…You can just start after one sentence project objective. When you describe process group wise tasks description, it should also communicate the output of that activity, like Worked with Stakeholders in the workshop for REQ Document. Here in minimum words, you mentioned many things like you did not create a requirement document in silos. You worked with stakeholders. By naming tools and techniques, you increased the weight of description. Here, Requirement Document is the output. IN: mention initiation process group activities which you did in the project including the outcome of that activity. PL: mention planning process group activities which you did in the project including the outcome of that activity. EX: mention execution process group activities which you did in the project including the outcome of that activity. MC: mention monitoring and controlling process group activities which you did in the project including the outcome of that activity. CL: mention closing process group activities which you did in the project including the outcome of that activity. Once again, I am emphasizing that while mentioning your experience in IN, PL, EX, MC, and CL, please take care guidelines which are discussed in “Think, in each project, what you did process group wise” and “Start writing project description” sections. PL- involved in discovering stakeholders needs, actively engaged in developing an overall project management plan. Lastly, just ensure you have the right primary contact, who is approachable in case your application gets selected for PMI® Audit Process. I hope this blog has sufficiently answered your all queries related to how to fill in Work Experience Details in PMP® Application Form. Good Luck with your PMP® Certification Exam. Answer: PMI takes 5-10 calendar days to verify your eligibility criteria with respect to your submitted experience and/or education. Can I take the PMP® exam without experience? Answer: You can start preparing in case you have not earned a minimum of 4500 hours (if you have a degree) of experience to 7500 hours (If you have a secondary degree). You can earn 35 contact hours and start preparing, once you have sufficient experience, you can submit the PMP application. 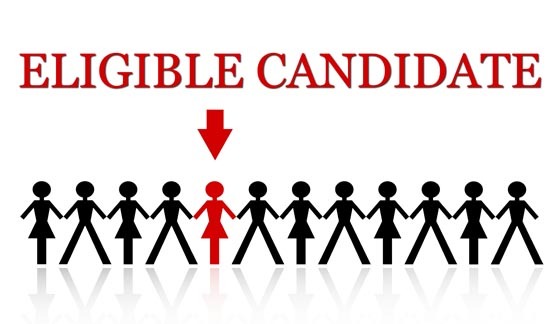 Many candidates do it in case they lack a couple of months of experience for the eligibility. Can I get a PMP® without a degree? Answer: Yes, in that case, you need to show more experience compared to degree holders. You need to fulfill 7500 hours of experience. This can be earned in 5 years of work experience. How many work days are 4500 hours? Answer: You can use the following simple calculation: 8 hours in a day and 40 hours in a week. If we consider around two weeks of holidays in a year, we get approx. 50 work weeks and which deduce to 250 work days or 2000 hours in a year. Should it be a continuous experience of 4500 hours? How does PMI treat Gap? Answer: You need to earn these 4500 hours within the last eight consecutive years prior to your application submission. For more details, please refer the following blog: I Am Experienced, But Unemployed. Am I Eligible For PMP® Certification? I do not have a formal project management role, but I did PM work in bits and pieces. Am I eligible to apply? Answer: PMI® is not expecting formal project manager role for this certification. For more details, please refer blog – My Designation Is Not Project Manager – AM I Eligible For PMP® Certification? My manager has left this organization. Whom should I add as a reference to validate my experience? Answer: You can add any contact person from your organization who can verify your project experience details. Get a senior peer as a contact person who has a clear idea of the project and its work and also about your responsibilities on that project at that time. My experience spans over three different companies. Do I need to get contact details of each reporting manager? Answer: Well, you need to mention the contact person of each project who can verify your experience. If these projects belong to different companies, then you need to specify contact details accordingly. You have to provide details of a contact person who can verify your work experience, and it could be your reporting manager or a senior peer. You can join the discussion on the same in our Forum. You can also log into our YouTube channel watch the video on the same. You may also like to watch a video presentation on how to fill the work experience details in PMP® Application Form. How To Fill The Work Experience Details In PMP® Application Form ? Find out how project work hours are identified and recorded in the PMP® application form . It would be good if you use average average 40-45 hours of work. In a week, I’ve worked on multiple projects accounting for close to 60-70 hours (yes, it was that crazy schedule). Can I use this for estimating total experience in Project Management or do I still need to use the average of 40 hours/week? Hello, I am a materials manager at PMO in an oil production project. The project was initiated in 2010, before I joined it, and will be closed in 2034. I have four years in my capacity. My activities are related to Planning (in terms of replanting), Executing, Controlling % Monitoring, but not to Initiating nor Closing. Will this work experience make me eligible for the PMP exam? I worked on different projects in a ship building and manufacturing industry also. Could you please provide me sample for work experience for my field. Also, though I was not a project manager, I was a team member of a project team. Still I can be eligible? I am filling the application form for PMP and have a query regarding PM Experience. Currently I have 3 years of project related experience. How ever I have worked on numerous other projects from April 2017 till now. Can I put one project from October 2015 – till today and a few others ranging from April 2017 till today in the fields. Need some expert guidance on this. Your application is reviewed. I recommend you to refer to our course as your application is revealing certain gaps in your preparation. 1) Though I was working on the same project, we had delivered 10 – 15 major and minor releases in this time span. Do I need to mention it as a single project or as multiple projects. It is recommended to show it in one project. But then you can show it phase-wise in 2 or 3 phases as well. 2) I generally upload all the necessary work related documentation and get the CRs/defects signed off for each release from the client. Can this activity be considered for closing the project process group. Changes pertaining to projects comes under “Change management” in “Project Integration ” knowledge area before project closure. After the project is delivered to end customer CRs comes under “Change Request”. You need to show some experience in all the 5 process groups. If you were not involved in “Initiation” phase in one particular project, you can show the experience in your other projects.CRs and release document do not qualify for “Initiation” process group. I am managing a maintenance and support for the last 4 years. 1) Though I was working on the same project, we had delivered 10 – 15 major and minor releases in this time span. Do I need to mention it as a single project or as multiple projects. 3) I joined this project from the second release onwards. I was never involved in preparing a project charter. How can I add the experience for the initialization phase. What generally I do for a release is I decide the scope of the project – which all CRs or defects need to go in that particular release, work on the project plan with my client and shared the risks and assumptions for the particular release to the client and inform the respective stake holders that we are starting the work for the particular release. All these documentation is done in emails and not as any other document. Are these enough to be included for the experience in the initialization phase. Review of Project Description : Need to re-phrase your role “Role: To assist in overall project and execute assigned tasks.” as project manager is expected to lead and mentor the project . Use PMBOK terms when you talk about your project work, like Created WBS, archived and documented Lessons Learned. This is a very helpful source of information and clarifies most of the doubts. Below are the project descriptions that I am planning to send to PMI for PMP application. I t would be highly appreciated if you could spare some time to quickly glance through them and advice if these are good to go or have any suggestion to make. Role: To assist in overall project and execute assigned tasks. EX: Build database connections, reporting structures, training new tools, feedback meetings. MC: Performance reporting, document changes, variance analysis. CL: Create process assets, Handover meetings. IN: Feasibility study, stakeholder(internal & external) analysis. PL: Define content scope, activity list & resource requirement management. EX: Content creation, features testing, communicate approved changes, training sessions. MC: Performance reporting, variance analysis. CL: Prepared product SOP, Content presentation & functional training to users, feedback meetings. Thanks a lot in advance for your valuable feedback. To me this looks Project Planning but more focused to QA job, make me feel person was only responsible for QA part of the project, please follow the advice given above. Application reviewed and feedback shared. Candidate : As the project manager, I have defined the high level scope and created Project charter as part of IN. I have collected the requirements from M&S department and planned procurement management in PL. In EX, I have organised a bidding conferance and made aggreements with the selected seller. As part of MC, I have made audits to control procurements. In CL, After proc negotiations, I have closed procurements. I have share the application and waiting for feedback. If you have gone through the above video, fill your applicationand share it at support@izenbridge.com. Can share you experience, my first audit also reject. should i submit new application. As per your comments i have rephrased all the descriptions. Please review my application which is sent to support@izenbridge.com. Will surely update with all your inputs. Thanks a lot. The Item Tracking Dashboard project fulfills a need of the Supply Chain and Marketing teams at XXXXX to increase visibility into product specific data, such as forecasts, inventory, and sales. This visibility allows for faster recognition of trends and planning refinements. I led and executed the project by meeting with end users to determine project requirements, creating a project plan, delivering a functional dashboard that met the user requirements, and training the end users on how to use the dashboard. 1. Since we can write very limited information related to project in Application , i suggest not to write many details of your project rather write more about what you did in project . 3. In above description i only see two knowledge areas , Project Integration management and Project Scope Management . Gives me an impression that you worked as Business Analyst not as Project Manager. Cover more , like Risk , Quality , Communication, Stakeholder Knowledge areas. As i could see from your first description that you work more like Business analyst and if the PMI also get this feeling it is not good. The description should focus on your role as Project Leader (may not be designated project manager) . I may suggest you to go though PMBOK or your learning material well before you finalize the description since you need to use all PMBOK knowledge to demonstrate how well you lead the project. like “agreed on scope, tasks, schedule” should be i prepare project management plan consisting scope , schedule and cost baseline Your description should clearly say. 1. You prepare Project Management Plan which has at least Schedule , Cost and Scope in it. 2. You lead the execution by way of working with team , resolving conflict etc. 3. You evaluate and communicate status of project frequently. Production and then delivery to site were usually coordinated by our PM. This is why i had generalized it in my previous description. As a design engineer, I used to direct/handle all actions from ‘collecting requirements’ till sending drawings to our production. Can i consider ‘sending drawings to production’ as closing from my perspective.? Is this project description good to go? Second, you should always tell what you did , like rather than saying project was closed you need to tell what you did in closing. I have prepared my PMP application. Can you please check it? I should send it to which email address? On more question, after how many days does PMI approve the application? All the best Adil !!! Thanks Jyothi.. I have sent it and awaiting their reply..
First go through the above video and rewrite your application. Then share your application at support@izenbridge.com. Similar projects in nature is not an issue, you can mention the same in your application. I have worked as a Project Manager in Projects involving restructuring of CITI Financial centers across North America. However, all the Non-overlapping Projects I have worked on are similar in nature involving closing or opening of CITI financial centers. Please let me know if this could be an issue. Can i send you my project description to review. Unfortunately i was chosen for audit earlier and got rejected 🙁 the reason was that in the project description, i thought that i need to mention the project details only not my role and for that reason i got picked then got rejected and the reason they mentioned is that in my project description they couldnt see my role..I am planning to resubmit my application however i am worried to get rejected again.. Can you please review my application before submitting it? Ok Thank you. I have PM experience listed after 2009. Hi again – Does this description look ok? 1. Managed hardware and software healthcare project. 3. Developed Project Management Plan. 4. Maintained project artifacts, Scope baseline, Schedule baseline and Cost baseline. 6. Directed/managed the work. Ensured all deliverables were met. 8. Held regular meetings with Team and Stakeholders. 10. After project completion I transitioned project. Hi – I received a PMI Master certification back in 2003. The PMP application is asking for start and finish dates for these courses. I have the end dates from the transcript but it does not show the start dates and the school is stating they do not have the start date information. What can I do? Thanks for quick reply. I will send the application on an email. I need guidance to complete my PMP application and need suggestion on documenting the 4500 work experience. Appreciate if some one can respond. Thanks a lot for the clarification, Jyoti. My name is David Griffin, I have a couple of questions in regard to the email traffic below. I was a Project Manager Department of Defense Contingency Contractor providing Base Life Support for the US Military in Afghanistan on multiple Forward Operating Bases. I was the Project Manager for New Construction (result) and Operation and Maintenance (service) related projects. Regarding Operation and Maintenance (service) we provided HVAC, Electrical, Plumbing, Carpentry, Power Generation, Laundry Operations, Roads and Grounds, Dining Facility Operation, Black Water Operations, Water Purifications, Wells, Facilities Maintenance, MWR Operation and much more. A mandatory 84 hour work week 12 hours shifts on a 24 hour basis 7 days a week. My question is when it comes to the constant service related project management versus the multiple individual new constructrction projects (involving the same Subject Matter Experts & Trades) that were simultaneously transpiring at the same time how should I best articulate and simplify when I lead concurrent service related projects for longer periods with multiple Performance Work Statements and a massive amount of New Construction (result) projects that simultaneously existed? I hope I was able to express my concerns clearly and appreciate your time and feedback. Thank you in advance. Would it be best to list the service projects considering the duration was much longer? Elements of the Closing process would not be as strong if I bypassed the New Construction projects, but I am thinking it would simplify the application process. You can show experience more than 4500 hours, if your project is exceeding the total number of hours. There is no hard and fast rule that it should be exactly 4500 hours, but it should not be less than 4500 hours but can be more than that. So how about breath verses depth of experience in each area. Due they require breath or as long as you touched on each area often in detail or does it require touching all major aspects of each process group at lest once in at lest one project. Yes “Financial modeling projects creating new models in which you applied basic PM principles” are considered valid work experience for PMP exam. While filling the PMP Application form, you need to show experience in all the 5 process groups, which can be from one or more projects. It is not necessary that all the project which you mention must contain experience hours in each of the 5 process groups. You can show zero hours in 1 or more process group in a project, but your total experience should not be zero for any of the 5 process groups. Enrol to our online PMP course, you will get complete support in filling the PMP application form. So two questions because I still think the requirements are not very well written. Are (100 – 800 man hour projects) Financial modeling projects creating new models (not modifying existing ones) in which you applied basic PM principles considered valid work experience for some of the 5 areas when you did a majority of the work associated with the project? Secondly is working in Program Controls for project management and coordinating all aspects of your specialty in all 5 phases considered valid experience or due they require some breath of various task/responsibilities in each phase. That if you only did one or two of the PM related responsibilities related to your specialty in each phase and not the typical breath in each phase, does it count (in my case primary lead in all aspects of cost engineering)? Yes it means you cannot have 2 projects with overlapping dates. You must have some experience in all the 5 process groups from one or more projects. what does it mean “Try not to have a parallel project” is it that i can’t put 2 projects with overlapping dates??? plus is it possible to not fill all the experiences domain areas for each and every project i listed in my application ?? This description is just for one project. I have 5 more projects, i will make sure to mention these things where appropriate. As a description of one project do you think it is sufficient? should i modify other project descriptions using the same structure? * A brief, one-sentence project outcome. I am willing to set for my exam next week, I took two PMP coerces already , and i studied both PMBOK & Rita. i get about 85% in simulation exams. The problem with the description is the allowed number of characters, that’s why i used PMBOK terms, because it is standard terms, therefore a single term summarize a lot of work in just one or two words. but I’m not sure if this is what they want? or if there is something missing. that’s the reason of my question here. The description of your application looks like copying the terms from PMBOK and pasting it in the description. It is not reflecting your complete role and responsibilities in the project. I recommend you to go through our complete online program before filling the PMP application, the current description also shows you need to spend more time in preparing for PMP exam. PMI pended my application they asked me to fix the project descriptions with a warning that they will reject my application if i submit it again without the necessary information! is this a sufficient project description? The project was ORACLE E-Business Suite implementation. Objectives: implement Core HR, Payroll , Self Service, GL, Account payable , account receivable and supply chain modules. IN: Initiation of some phases (crating project charter and identifying stakeholders). PL : Collect requirements, creating project plans, scope baseline, schedule and identify risks. EX: Manage team, communications and reports. MC: Control scope, schedule, and risks. CL: Collect records, lessons learned, archive information. You need to restrict the project description and role in 550 characters only. People with 5 year long project duration also manage it in this limit. Just write one liner goal/objective of the project followed by your roles and responsibilities.Don’t write complete sentences try using short sentences like gathered requirement, managed team, identified and analysed risks and so on. Thanks for sharing valuable information. I have failed PMP audit, could it be possible if I share application with you for evaluation. The total 3 years experience should not be necessarily consecutive. You can have it in gaps, but it must be within 8 years of the current date. I solicit your advise regarding the PMP experience criterion. should experience be consecutive 3 years in last 8 years. Could It be 2011-2014 ( completing the 3 years ) or it should be back 3 years from date of application. eg. if i am submitting the profile today then should it be 2013 to 2016 ( Consecutive 3 years. Kindly share the valuable information. In case of PMP, you need to show 4500 hours project management experience gained in last 8 years. Does work experience required to be latest or any work experience over period of my 20 yrs of work can be submitted. Did you get any lead as how to write work experience? Please share you application with us at support@izenbridge.com also it would be great if join our discussion forum at forum.izenbridge.com to get assistance and response from our experts. Hi, I have 13+ years of experience in operations and global transitions. There are considerable aspects/tasks which are common to most of the projects I lead or was a part of so my concern is repetitiveness of such aspects across all projects. How should I go about documenting them? Example: Identify scope of process/tasks to be transitioned, recruitment of resources (working with HR), develop project charter, knowledge transfer charter, stakeholder matrix, defining SLA (service level agreements) for each transition so on and so forth…. Of course, the nature of work/process is different with each project however, certain elements are common and a standard protocol to be followed across each project…so can you help sharing your thoughts on how should I go about documenting my project work keeping above problem in mind? Thanks, Jyoti. I realized that I have hours but the number of projects end up being more than 6 (I may need 8 or 9 projects to get all the hours in) and that’s okay, right? There is no limit in terms of total number of projetcs. You need to show 4500 hours of experience which qualifies in 3 years. Include projects to show total 3 years duration. Hello, Thanks for all the info; it’s really helpful. What is the maximum number of projects to include in pmp application? Hi, Since you are doing PMP , you need to have 3 years of project leading exposure where you are going through complete project life cycle. You may not have some projects not having all 5 process group tasks but in total you need to have experience in all 5 process groups. I have Bachlor of engineerign and MBA degreee. I have ten year maintenance experience , how i convert my maintenance experiencei into five process groups. In maintenance all five process are rarely involved. ? Yes, you could do this, but it it is not likely that PMI will find that you have demonstrated you have met the requirements because a “co-worker” is not a very credible source. Your other option is to find a more credible contact within the organization. The PMPs at FPMcertify.com are very experienced with this, but you have to pay for their PMP consulting advice. It is not necessary to mention the contact info of your reporting manager. You can put the contact of any stakeholder who is directly involved in the project including end customer. If your manager is available to sign the documents physically, you can mention his name as well. Just a bit of advice required for my PMP application — for the project experience which I am mentioning in my application if my project manager has left the organization then whose contact shall I put in there? Yes PMI needs you to have 3 years of project experience in last 8 years only. So you may need to wait for an year before you give the PMP exam. I have 10 + years of actual PM experience however within the last 8 years I have taken 6 years off while raising my children, i have just recently returned to the work place. Can i enter in all of my experience to date or do the institute require that i have the required experience in the last 8 years only? We could not found your application in our inbox, please send it again. Kindly confirm how you want me to share my application with you. Please share your application with us at support@izenbridge.com, we will review and get back to you. i really appreciate the good work you have done with the PMP training videos and found them to be very informative and easy to understand. Yes you can take the PMP exam even if you are not working currently, as per PMI you have to show 4500 hours experience(or 7500 hours in case of diploma) in last 8 years. My question is whether is it possible for me to give PMP exam as i am am not working at present ,i am done with my 35 hours PDU and i am an experienced professional but from past one year i have not been doing a job. I have been selected for PMI audit for PMP exam. In the application i have given my previous project manager details but i am not able to contact them now. Can i give ask my co-worker who was working with me in the said previous project? If yes, is it okay if the name of the contact person in application and project management experience verification form varies. If no, what other option i have? Thanks please check your email. Very Sorry to hear about audit result. Don’t worry, we will help you. I have sent you mail. Please check. Hello Mr.Saket I have been watching Your PMP training videos for preparation and found it to be very informative and easy to understand.Thank You. I work as a Consultant Engineer(electrical) in construction and have more than 4500hours work experience on single project.Could you please provide me sample for work experience for my field. You may do it or not… from PMI point of view no specific clause. Hi, Can i specify the client name & project name i work. Is that not a problem. i have did it and submitted the application. but now i got a thought not to specify it. Is it a problem specifying the client & Project Details ?